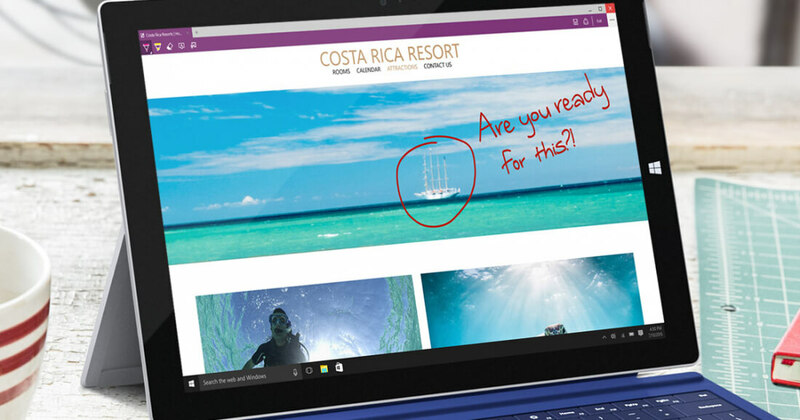 Microsoft desperately wants more people to use their Edge browser, which is why the company launched a marketing campaign several months ago that attempted to highlight the benefits of using Edge. In particular, Microsoft wanted users to know that you can achieve better battery life by using Edge compared to the most popular web browser, Google Chrome. The battle between Edge and Chrome has heated up recently, as Microsoft has begun using Windows 10's notification center to inform users that Chrome is a battery hog. The messages, which began appearing for some users last month, state that by switching to Microsoft Edge you can achieve "up to 36% more browsing time". In a statement released to The Verge, a Microsoft spokesperson said that the warnings about Chrome's battery drain are part of Windows Tips, a collection of informative notifications that appear at relevant times. These tips "were created to provide people with quick, easy information that can help them enhance their Windows 10 experience, including information that can help users extend battery life." Microsoft does note that users still have the option to choose their own default browser, so the company isn't forcing anyone to use Edge. It's also possible to disable Windows Tips from within Windows 10's notification setting screen. By using their own operating system to promote Edge through pop-ups and notifications, Microsoft could annoy users who don't care about the benefits of Edge and just want to continue using their browser of choice. It will also be interesting to see if Microsoft uses similar tactics to promote other products in the future.